The South has been the fastest-growing region in America in recent years, thanks in large part to transplants from other parts of the country. But Amish, despite their willingness to move, aren’t heading south in quite the same numbers. However, you’ll still find a number of Amish places in the region. 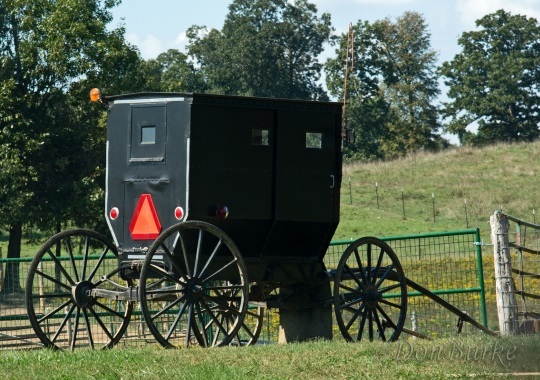 Below, a look at five Amish communities in our Southern states. 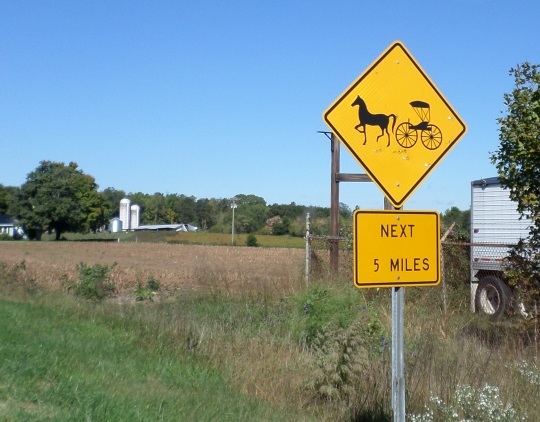 Depending on what you consider “the South,” this may be the largest Amish community in the region. This is a very plain Swartzentruber Amish settlement. There are 10 Amish congregations at Ethridge, which could mean anywhere from 1,000 to 1,500 people. The community has a modest tourist industry, which Amish participate in to some degree (selling products at tourist spots and being featured on an Amish business map distributed by a local tourist center). Amish are well-established here, having been in the area over 70 years (since 1944). For more info, here’s one of our all-time most-viewed posts, an account of my 2010 visit to the community. I’m a Tar Heel, so I take special notice of any Amish presence in my home state, of which there has been relatively little. North Carolina is one of the South’s fastest-growing states, but hasn’t proven as attractive to Amish as it has to English people. 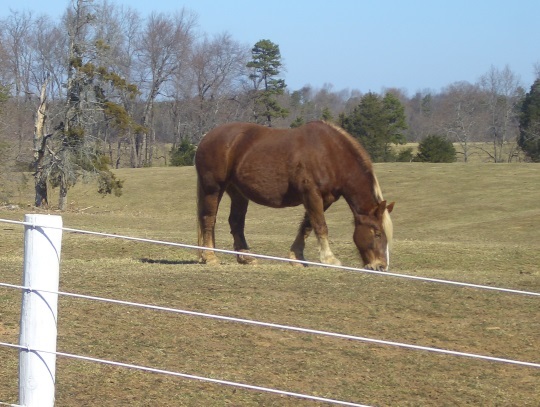 The small electric New Order settlement at Union Grove remains NC’s only Amish location. Amish have lived in other locations in North Carolina in the past–including in the Dismal Swamp region in the first half of the 20th century, and a more recent, short-lived and unusual community at Yanceyville. I’ve visited this small one-church-district settlement a couple of times, including a trip last year with stops at two nice Amish-run businesses, Shiloh General Store and Wholesome Country Creamery. Is this the most Southern of all the Southern settlements? The one-district community at Randolph in Pontotoc County is 20 years old this year. Amish here originate mainly from Ethridge, and like the parent community, this is a very plain settlement of Swartzentruber-affiliation Amish. Historically, Amish attempted to settle in Mississippi on a number of occasions, with four tries previous to 1950, but little besides the Pontotoc County community since. Salem is one of the Natural State’s two Amish communities, in Fulton County on the northern border (so I guess by some definitions, barely in the South). Arkansas has actually lost one of its communities over the past few years. This one-district settlement was founded in 2009 by Amish from Tennessee. 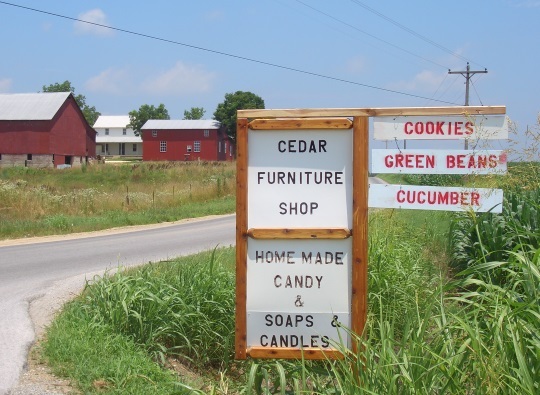 The area has a number of businesses including woodworking, a general store, baked goods, and peanut brittle, which you can see in this recent account of a visit to the community. Amish began to arrive in Halifax County in southern Virginia in 2005 from the Dover, Delaware settlement (a community facing land pressure which has seen significant out-migration). Ten years later the Halifax County settlement has grown to two congregations in size. I made a brief visit when it was just one church, back in 2011. 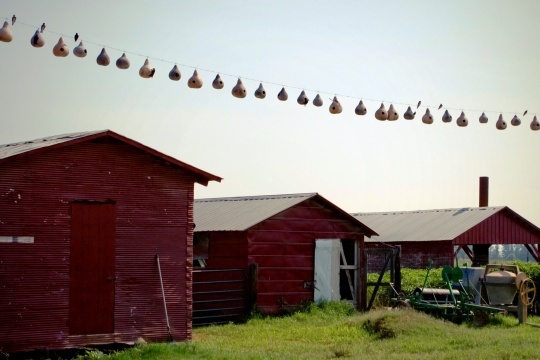 Of the Southern states, Virginia has seen a decent amount of recent settlement, with three new communities in the past seven years, doubling its Amish community total from three to six. What other Southern Amish settlements could be added to this list? Erik – I think you may have underestimated the number of Amish in Ethridge, TN. The last time I went through there- several years ago – i was chatting with the very gregarious Mrs. Gingerich at her roadside stand where they sell produce, handmade wooden toys and swings, jellies, peanut brittle, etc. There were five or six adorable children playing nearby and in the course of the conversation I asked her how many grandchildren they had. She paused for a second, obviously counting in her head, and then replied “105”!! No wonder there are so many mailboxes with the name “Gingerich” on them around there! But there are lots of other names, too, and lots of other big families. Every time I’ve driven through there, there seem to be more and more houses and barns and workshops on both sides of the highway, and new ones under constuction. Interesting, maybe that’s the case, and a number of these churches are close to dividing (there have been 10 church districts here for a number of years already). Also I may be wrong, but I seem to remember Swartzentruber church sizes tending to be a bit larger, though I can’t find a reference on that so don’t quote me 🙂 It certainly seems to be a prospering settlement. We have a nice Amish settlement here. They have 15 or more crafts,food or services they offer. At this time I trade with several families. They also have started more settlements here in Tennessee. At present time I believe they have 2 or 3 more coming on line. We also have a new order settlement in Summertown Tennessee only 7 miles from Ethridge. So come on down an visit I show you around…. You are right about the Gingerich’s in Etheridge. It was one of the original family names established here along with Hostetler, Miller and Yoder. The community is approximately 20 square miles and has almost 220 households. There are two smaller sister communities that also came out of here – Adamsville/Stautonville TN about 2 hours west of here about 5 years ago and now McMinnville, TN which has less then a dozen households and would be east of us. It is interesting where old order types will show up isn’t it. I wish I could help on some future 5 Canadian Amish Settlements article, but I don’t know facts and figures about our populations cross country, although it does seem to me that in some places if you have a big Mennonite population you are going to have an Amish population connected to it too. In the ‘south’ what is the biggest Amish minority group, is it Swartzentruber or another group? There is a small Amish settlement in Lobelville TN also one in Huntington TN abd another just west od Paris TN. I do business with all three groups and love tgem all. I wish you were part of Pinterest. I would have a folder named vacation and this article would be in it for future use. Also the Amish settlement at Chatham, Va. along Callands Road (Va. Rt. 57). Pretty drive this time of year. There is a somewhat new settlement in Wingo , Kentucky.